The new line of environmentally friendly acrylic caulks by GE offers a plethora of benefits ranging from the ability to enhance quality and exceed specifications to shorter wait times and increased flexibility. The powerhouse lineup of seven paintable caulks, manufactured by the exclusive licensee of GE caulks globally, Momentive Performance Materials Inc. (MPM), includes Max* Flex (Kitchen & Bath or Window & Door), Max Extra, Max, Painters, Max Stretch and Max Speedpaint. The entire line of caulks is environmentally friendly because it is low-VOC and EG-free. Volatile organic compounds (VOCs) are emitted by a wide array of products1, including by solvents found in most caulks. A product with lower levels of VOC can reduce the negative impact on indoor air quality, lessen the level of air pollutants and reduce potential adverse health effects.2 Ethylene glycol, found in many consumer products, can be hazardous if ingested or inhaled depending on the level of exposure.3 While the solvent itself is clear, colorless and odorless, it can be toxic to humans; exposure may cause a variety of health issues and reactions. 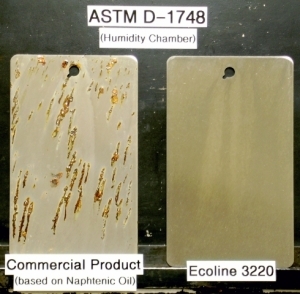 The acrylic line by GE does not contain this potentially harmful substance. The acrylic line by GE exceeds a variety of specifications with offerings providing benefits such as better flexibility and crack or weather resistance. A caulk with more movement capability provides better crack resistance because it is less likely to crack when exposed to expansion or contraction. Cracking can lead to gaps where air and water can pass. Similarly, it provides better weather resistance with the expansion or contraction that can occur with temperature fluctuations. -Max Stretch, Max Extra and Max Speedpaint exceed ASTM C834 for better flexibility in most temperatures. -Max Flex Kitchen & Bath exceeds ASTM C920, TTS230 for better crack resistance, and its Window & Door counterpart exceeds the specification, providing better weather resistance. Several products within the line have formulations that allow for enhanced quality. Max Stretch, Speedpaint and Flex are paint-friendly, meaning the caulk won’t cause the paint to crack, fade or change sheen, whereas some acrylic caulks do. This feature is critical in maintaining the integrity of the paint job and preserving the aesthetics of the room or exterior. Similarly, the mold and mildew resistance that the majority of the line offers helps the caulk maintain a neat, clean and fresh appearance. Quick Painting, No Waiting To accelerate the pace and provide the ability to move on to the next job quickly, Max Speedpaint can be ready for painting in just 30 minutes or spray painted immediately. Max can do so in just one hour. The reduced wait times can help make pros more efficient and provide convenience to do-it-yourselfers.